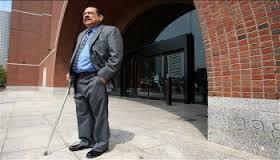 On August 27, 2013, a U.S. federal district court in Boston sentenced Salvadoran former Col. Inocente Montano to 21-months in prison for immigration fraud and perjury. The court found that Montano had lied on two applications for Temporary Protected Status in the United States by affirming that he had never been involved in the persecution of anyone because of political opinion or membership in a social group. 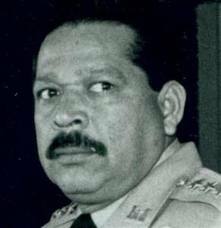 Col. Montano was a senior military commander in El Salvador before entering the U.S. in 2001. His military history was at the core of the government’s argument against him. Stanford University Professor Terry Karl, an expert for the government, testified that Col. Montano was among those responsible for killings of Jesuit priests, their housekeeper, and her 16-year-old daughter in 1989 at the University of Central America (UCA). Prof. Karl discussed Col. Montano’s military background and his involvement with many human rights violations during the 12-year-long civil war in El Salvador in her expert report. The Boston immigration case was not the only judicial action against Montano. The Colonel was also among those named in a case brought in Spain by the Center for Justice and Accountability (CJA) under that country’s universal jurisdiction law. The Spanish case names several former Salvadoran military commanders as responsible for the Jesuit killings. The Spanish Government recently sent an extradition request for Montano to the United States Department of Justice. The Colonel is entitled to a hearing regarding this request. If the government responds positively to the request, however, it is quite possible that Montano could be extradited before his release date in the Boston case. While in U.S. custody, Montano is particularly vulnerable to extradition to Spain. During his sentencing hearing, much of the testimony focused on alleged human rights violations, which had implications for the case against him in the Spanish courts. Another reason for Montano’s vulnerability is that, in contrast to other defendants in the Spanish case, Montano cannot take advantage of impunity by residing in El Salvador. Thus, Montano will most likely face extradition to Spain for alleged human rights violations. Both his vulnerability to extradition and the focus of the Boston case testimonies on alleged human rights violations lend significance to the U.S. immigration case against Montano. This entry was posted in Uncategorized and tagged Boston, Center for Justice and Accountability, El Salvador, Extradition, Human Rights, Jesuit Killings, Judicial Accountability, Military Impunity, Pinochet, Professor Terry Karl, Universal Jurisdiction. Bookmark the permalink.